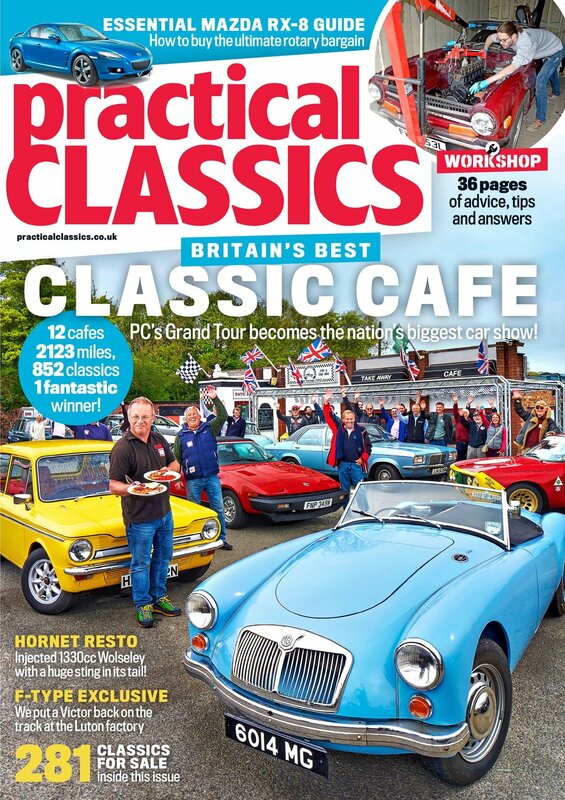 In the new issue of Practical Classics (Oct 2018), we celebrate five decades of three British legends: The Jaguar XJ6, Reliant Scimitar and Triumph TR6. We drive the cars from their factories of of birth in the Midlands to the Thruxton Circuit, which also celebrates its 50th birthday this year. We also meet a man who pulled out all the stops to restore his stunning Opel Manta and we present an in-depth interview with Denis Chick, a PR guru who first walked into his job at the Rover plant in 1965, ahead of a fascinating career. There are updates on the latest projects in our workshop – including Editor Danny’s Riley, which is being prepared for the Classic Motor Show in November – plus we deposit Deputy Editor Walshe into the French countryside where he tries to buy a classic in which to drive home again. 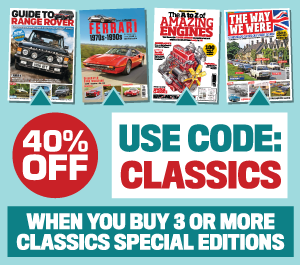 Add to that, a Peugeot 306 buying guide and page upon page of technical advice, there really is no magazine quite like Practical Classics. STRANDED IN FRANCE: HOW A CLASSIC RENAULT SAVED THE DAY! We are restoring a Riley RMA live on stage at the Lancaster Insurance Classic Motor Show this November. Owned by Practical Classics editor Danny Hopkins, it’s not going to be easy… Full progress report in the new issue of the magazine. More grubby tales from the Practical Classics workshop, as Matt and Ed get to grips with their projects.